Having a swimming pool inside your home is usually viewed as a symbol of luxury and wealthiness. As opposed to an outdoor one, an indoor swimming pool offers privacy and year round swimming independent of the weather be it cold, windy or hot outside. The downside is the significant amount of money involved and space you require. This would rule out an indoor swimming pool, hot tub, spa or jacuzzi as an option for most people. Yet, it does offer a framework, comfort and prestige you will not find elsewhere. Also, in times when energy costs are soaring, people are looking for more efficient ways of dealing with their indoor pool. Only then, you can enjoy your pool as a recreation fun spot ideal for water games. You can equip it with palm trees, water cannons, sprinkle hoops and water slides. You can also use it for daily exercise or hydrotherapy. 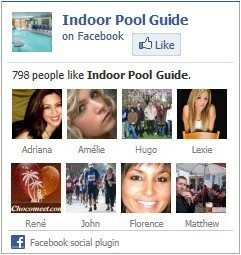 Make sure you browse this website to learn all you need to know about indoor pools.